The Emanuel African Methodist Episcopal Church (AME) in Charleston, South Carolina was the scene of a horific attack late Wednesday. 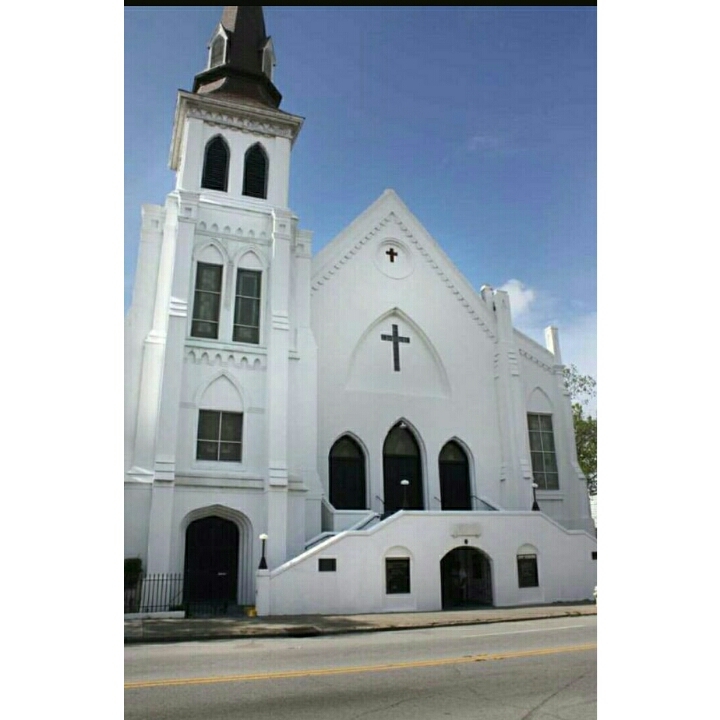 The Emanuel AME also known as 'Mother Emanuel' is the oldest AME church in the South and home to a rich history of involvement in the civil rights movement. Waking up this morning my newsfeeds were inundated with the words ‘Charleston’ ‘hate crime’ ‘mass shooting’ ‘on the loose’. I didn’t want to know what it all meant. I’m fatigued, I’m enraged, I’m devastatingly sad. Mostly because this isn’t the first time a sacred place of worship has become home to a nightmare. The Atlantic published a piece outlining the history of attacks on black churches. Read it. As the POTUS took to the podium looking beleaguered and worn down early this afternoon, he pointed out the other glaring issue at hand, gun violence. America, you have a problem. A problem you refuse to address properly. Whether its a kindergarten class or a Wednesday night church group the frequency in which mass shootings happen on your soil is a statistical anomaly of epic proportion. You should be funding think tanks and grass roots activities aimed at getting guns off the streets and put in place an immediate moratorium on the manufacturing of domestic weapons. Your lives depend on it. This entry was posted in Media, opinion and tagged black churches, Charleston, Georgia Williams, gun violence, hate crimes, Mass shooting, POTUS, South Carolina. Bookmark the permalink.